Thanks for the thoughtful post, Peter. I teach in an IB Middle Years Programme and Diploma Programme school in Japan, and as a department this year we have been looking at the MYP sciences criterion on processing data: aiming to look into student difficulties and set better resources, practices and vertical moderation so that we can help students better work with numbers and graphs. We will use our work from this year to try to measure improvement in criterion scores for next year, as our department goal. I will share this with my colleagues – the diagram would make a useful poster/ reminder. Great post – thanks. I teach 10 year olds maths in the UK and many of these problems arise. The expert blindness thing is a constant worry! Getting them to turn a story into graphs/diagrams seems to be quite powerful. 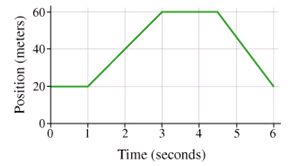 I like your idea of using familiar things, like music, to spark a graph. 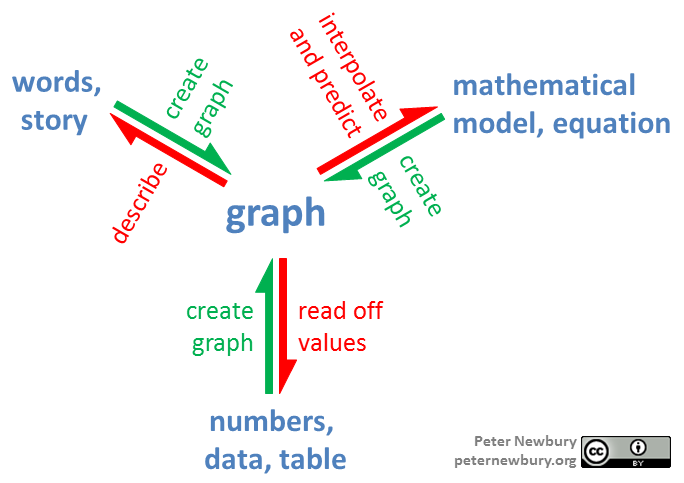 I think students get very little practice at the very first step, deciding what kind of graph to make. We always tell them, “Make a pie chart showing…” or “Make a histogram…” or “Graph the function f(x) on these axes…” Deciding on the type of graph is something experts learn to do, and it’s a place where our blindness comes in.